Students majoring in Communication or Health Communication are recommended to take a minor of their choice – we recommend minors in Leadership Development, PSFA International Studies, or other minors of your choice. However, a minor is not specifically required. 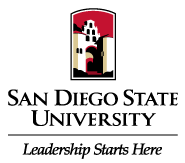 Extracurricular student organizations include the SDSU Aztecs Speech and Debate (Forensics) Team, which is open to all majors, Lambda Pi Eta, the scholastic honorary, open to students with high academic achievement, and Health Communication Student Organization (HCSO). Advising: For specific questions regarding your own course plan, please consult one of the Undergraduate Advisors. The undergraduate advising office is located in 240 COM.